Congratulations to Marcus on being recognized as Athlete Of The Week at CrossFit Amundson. Since joining the gym just over 4 months ago, Marcus has been one of the most focused, determined, consistent and persistent Athletes to ever train at our gym. Marcus shows up for class early to cheer on his fellow Athletes and mobilize, and stays late to welcome the next class. Marcus has a keen eye for technique, and disciplines himself to adhere to range of motion and the points of performance he is learning on a daily basis. 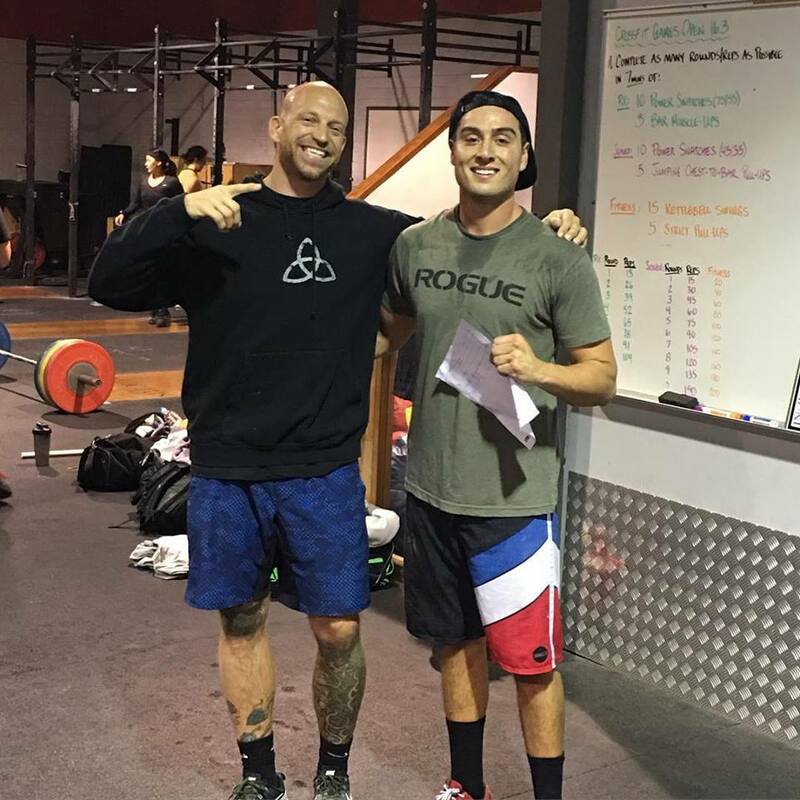 The results of Marcus’ training have been astounding: He’s recently achieved his first Ring and Bar Muscle Up, Deadlifted over 345lb., and bested Coach in a brutal battle of Concept 2 Row and Wall Ball shots. In the photograph above, Marcus stands at CrossFit Invictus in San Diego, where he dropped in to complete Open WOD 16.3. The staff of Invictus reached out to Coach and praised the spirit, kindness and capacity of Marcus. Congratulations Marcus on your success, and keep up the inspiring work! Ossssssss.